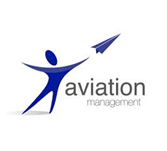 What do you understand by the term aviation management? All the activities with respect to planning, designing, operating and maintenance of aircrafts and airport are known as Aviation management. The tutorial main concentrates on the basics of management of airports and airlines. Who are the audience for learning the concept of aviation management? This tutorial is mainly targeted for those audiences who are keen to understand the basics of Aviation Management. This tutorial is also targeted for those professionals who would like to take up their career in aviation management. What are the prerequisites required for learning the concept of aviation management? There are no specific prerequisites required for learning the concept of aviation management. A person has to have interest in the operations of aviations. Person with some of the skills like critical thinking, strategic thinking, good communication skills and foresightedness enables to better understand the concept of aviation management.